Wanna help a pub out? 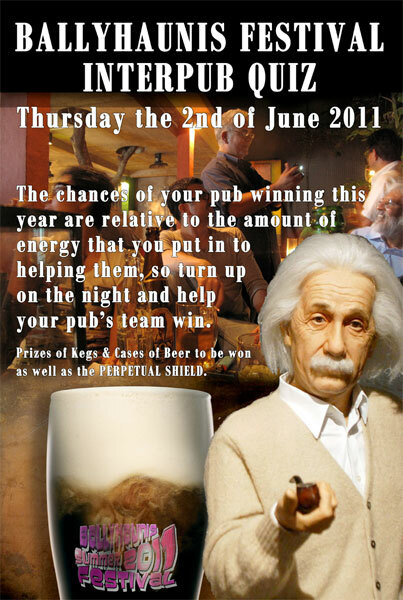 The annual Inter-Pub Quiz takes place in Ballyhaunis, Co Mayo, on Thursday night next at 9pm. Indeed, it is the opening event in this year’s Ballyhaunis Summer Festival. For those who didn’t see my report on last year’s event, this quiz is quite a novel one. Basically, everyone who wants to take part gets in to their pub of choice by 9pm. There is only one answer sheet per pub so, thus, everyone who is inside the door is on that pub’s team. The pub’s radio is then tuned to a local, community frequency and the questions are read out over the airwaves. The quiz gets physical in between rounds as each pub has to dispatch a runner to return their answer sheet back to quiz HQ. Last year’s event produced some amazing final scores. At the time, this prompted me to suggest that this year we’d gather as many blog fans as we could and attempt to wrestle victory from the mighty Gill’s. However, I’m afraid it has snuck up on me. Good morning all. I know I said at the end of my most recent post that the answers would arrive “tomorrow morning” but, sometimes, life gets in the way of blogging. You see, the reason I knew on Thursday last that I would have to post up the answers on Friday morning or else they wouldn’t be up for days is that my brother got married last Friday afternoon. We had a great time, thanks for asking. However, the day ended up being so busy that I simply didn’t have time to get to a computer. 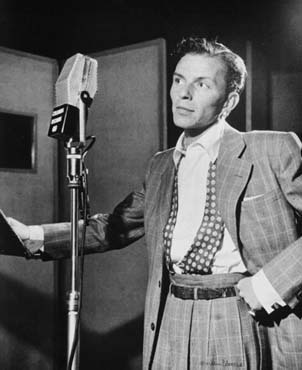 Mind you, I did manage to squeeze in my weekly show on Claremorris Community Radio so the Friday Five Trivia are present and correct. Albeit, they were posted on a Monday! In fact, the end is here. After eight months of going almost every Tuesday night, the Quiz Night in Gilligan’s, Claremorris, went on Summer holidays this week. As befitted the week that was in it, the quiz had an end-of-year feel to it with free food on offer and a free raffle also. In this I managed to win a bottle of wine! Alas, that was the only victory that came our way as we were defeated by two points in the quiz. This was hosted by Eddie, my old buddy from the Irish Independent photo back in January. He put on a nice quiz, illuminated by some of his more colloquial pronunciations! I shall miss him, and the rest of the Gilligan’s crew, throughout this upcoming Summer recess. Here are the answers to the questions posted yesterday in It’s Rock n’ Roll (Kids). I received a mail from a reader wondering about my lack of a picture round. Specifically, they wondered if I had deprived them of a Eurovision-themed round. Fear not! It was just a ‘regular’ picture round. If it had featured 20 Eurovision performers, I would definitely have gone the extra mile to post it up! This year’s Eurovision Song Contest may have come and gone but our host at this week’s quiz in Gilligan’s, Claremorris, had just come back from attending the event in Düsseldorf. This led to the round I’ve been waiting my entire life to try: a Eurovision music round! More on that later. I was paired up with Aidan, who I’ve been been with before, and his mate Andrew, who was making his Gilligan’s debut. Our highest scoring round on this night was nothing to do with the song contest, mind you. Round 5 featured a hand-out listing 20 car models, with teams asked to identify the manufacturer of each. A 20/20 here took us from also-rans into joint second at half-time. In the end, our team won by the narrowest margin possible, our 120/150 pipping my mate Ger’s group to the line. 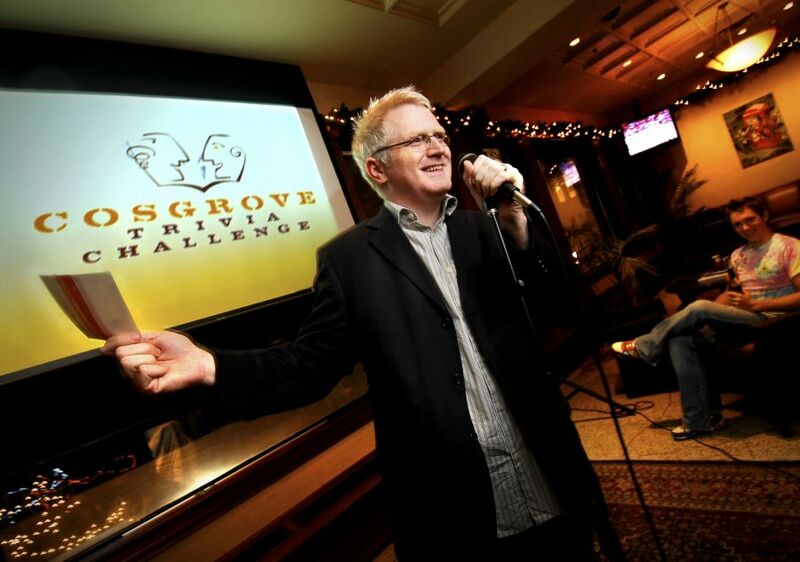 Irishman John Cosgrove runs Cosgrove Trivia Challenge, a business which is based around the concept of trivia/interaction and entertainment for corporate events, in the USA. Last year he returned to his Pub Quiz roots, creating a company that has only female hosts, Sassy Lassy Trivia. I had a chat with him about making a living from quizzes. 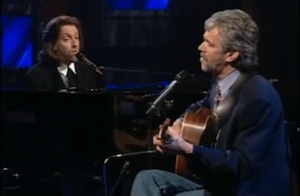 John Cosgrove, a native of County Fermanagh, moved to Minneapolis just over 12 years ago. Within a year he was hosting a monthly quiz in the Irish Pub he worked at. Since then he has built a business based around hosting quizzes. So, were you always into quizzing John? In honour of this special event, the Friday Five Trivia on this morning’s radio show were all about Europe’s biggest television show. You can check them out by clicking the convenient play button below.